It is a busy time of year on the homestead. The baby chicks have arrived, the garden is growing and sometimes things happen that are beyond my control. The queen bee and her attendants prior to installation. I had to mail order a new queen from Honey Bee Genetics because the hive that swarmed was queenless. When a hive swarms, the bees that stay behind raise a new queen. This virgin queen must then go on a mating flight and successfully mate with drones. I don’t think there are enough drones in my area for the queen to successfully mate. The queen cage must be placed in the queenless hive. Whatever the reason, the hive was queenless. The hive was in danger of failing because all the bees in the colony come from the queen bee. That is why I decided to take action and pay overnight shipping to get a queen delivered. 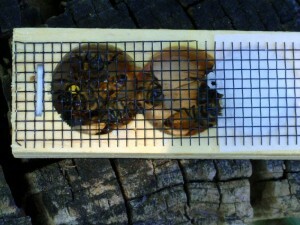 To install the queen, the cage is placed with the candy plug facing down. Over the course of a few days the bees eat through the candy and release the new queen. This allows the bees to get used to the pheromones of their new queen. 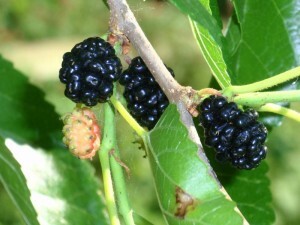 The mulberry trees that grow like weeds around my homestead are loaded with ripe mulberries. The local birds love these things and spread them around. To me, other than sugary sweetness, the berries don’t have much flavor. 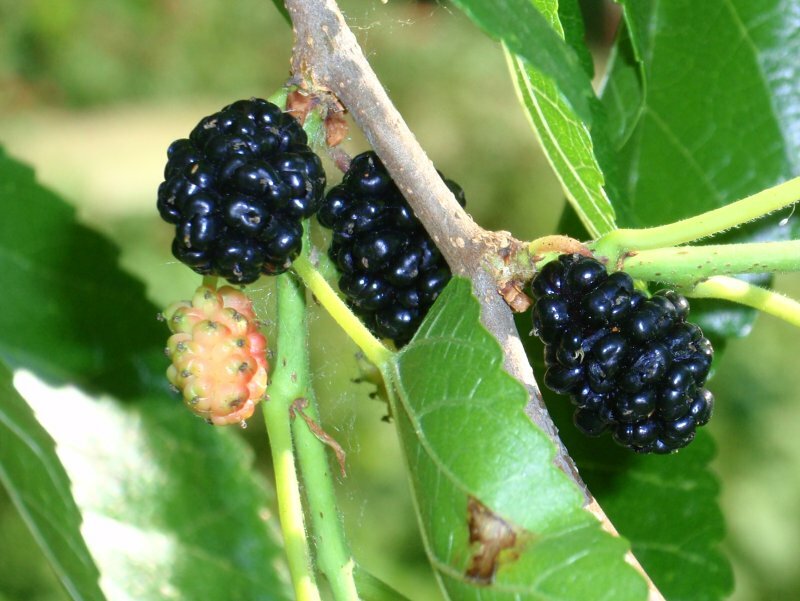 I have seen my chickens foraging under the mulberry tree when I let them out in the evenings. The native black raspberries on the other hand are like little flavor bombs. I get excited when the mulberries ripen because it means that the black raspberries won’t be far behind. 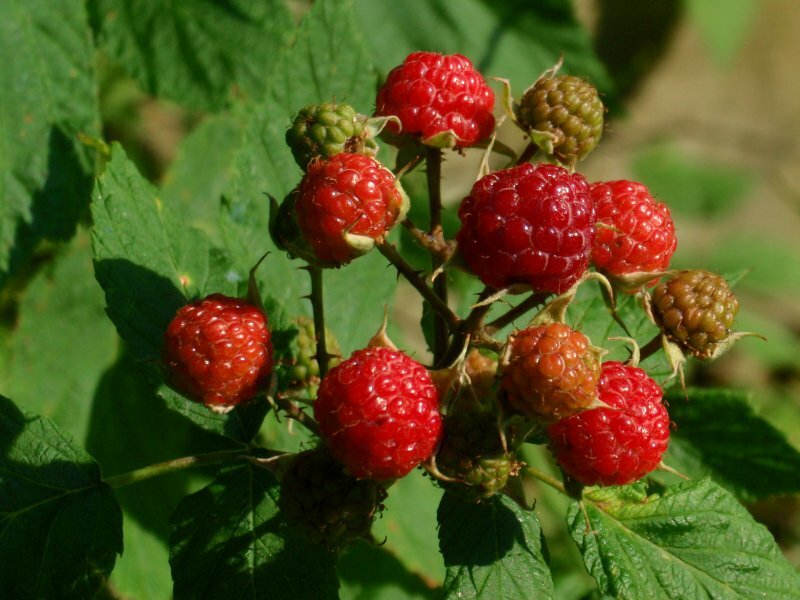 My favorite uses for black raspberries are making cobbler and adding them to the secondary fermentation of mead. These black raspberries will ripen any day now. These black raspberries were growing on my fence line. To encourage them one year, I pulled the weeds that were growing in the berry patch. The next year the black raspberries had established a strong patch and out competed the weeds in that area. In years past, I have also spread them to another fence line by digging up small plants in the spring and relocating them. What kind of berries do you like?